This episode’s guest is Khaled Elgindy, a scholar at the Brookings institution who specializes in Palestinian affairs. He is the author of a new book Blind Spot: America and the Palestinians, from Balfour to Trump, which was published on April 4th, 2019. This episode was recorded at a live event that Americans for Peace Now co-sponsored with the New Israel Fund at our joint office in Washington on April 3rd, just six days before the Israeli elections. Our guest was Dr. Dahlia Scheindlin, one of Israel’s leading public opinion analysts. The discussion was moderated by Naomi Paiss, the former Vice President of Public Affairs at the New Israel Fund for over a decade, and a longtime public affairs and communications professional. Please send feedback, ideas, and questions to onir@peacenow.org. Also, please go to www.PeaceNow.org and make a small donation. On the fortieth anniversary of the White House signing ceremony of Israel’s peace treaty with Egypt, Israel’s peace movement Peace Now (Shalom Achshav) launched a campaign to remind Israelis of this historic peace treaty and its strategic value for Israel, and to underscore the fact that peace with the Palestinians and the entire Arab world is within reach. Peace Now’s executive director, Shaqued Morag, talks about the new campaign and about the centerpiece of the campaign, an evocative short film. For APN’s crowd sourcing campaign to fund the film click here. Tania Hary is the Executive Director of Gisha, an Israeli human rights organization whose goal is to protect the freedom of movement of Palestinians, especially residents of the Gaza Strip. APN's Debra Shushan and Ori Nir spoke with her on March 21st. This is a special episode of PeaceCast. For the first time, we recorded PeaceCast before a live audience in Washington DC. We partnered with one of Israel’s most popular English language podcasts, the Tel Aviv Review. We hosted two journalists, Israeli journalist Amir Tibon of Haaretz and Palestinian journalist Said Arikat of al-Quds. Haaretz is published in Tel Aviv and al-Quds is published in Ramallah, in the West Bank. Amir and Said are the Washington correspondents of their newspapers. The idea of this conversation was to explore how Said and Amir both cover the Israeli-Palestinian conflict from Washington. Gilead (Gili) Sher is an Israeli lawyer, scholar, expert on, and practitioner of, Israeli negotiations with the Palestinians. He was Prime Minister Ehud Barak’s chief negotiator between 1999 and 2001. Now he directs the Center for Applied Negotiations at Israel’s Institute for National Security Studies (INSS) in Tel Aviv. APN’s acting CEO Aviva Meyer joined Ori Nir for a conversation with Sher on February 15th, 2019 at Georgetown University's government Department, where Sher is now the Goldman Visiting Professor. We addressed the impact of the diplomatic impasse between Israelis and Palestinians, and what can be done to pave the road to a two-state solution in the absence of formal negotiations over a comprehensive peace accord. Brian Reeves, Director of External Relations at Shalom Achshav (Peace Now), APN’s Israeli sister-organization, talks about the new West Bank settlement scandal: a plan to build another settlement near the West Bank town of Bethlehem, which would complete a ring around Bethlehem and severely threaten a two-state solution. Brian also talks about broader trends in settlement activity in 2018 and about what Peace Now’s Settlement Watch Project is focusing on going into 2019. Rashida Tlaib of Michigan is the first Palestinian-American woman to serve in Congress. Public attention focused on a profanity that Tlaib used in reference to President Trump shortly after being sworn in to the 116th Congress. This episode, instead, focuses on the significance of Tlaib’s coming to Washington for the Palestinian-American community, a community that has never enjoyed much political clout in the U.S.
Hanna Hanania, a prominent leader of the community, talks about what it means for Palestinian-American to have a progressive young woman in Congress who proudly asserts her Palestinian identity. A new report by Israel's Institute for National Security Studies (INSS) analyzes Israel's relations with American Jews through the prism of Israeli national security. The report is chiefly directed at Israeli policy makers, and therefore has so far only been published in Hebrew. The English translation will be published soon. Dr. Michal Hatuel-Radushitzky, one of the report's authors, talks about the chief observations and recommendations of the report. Known by many as Mr. Jerusalem, one of the world’s leading experts on Jewish-Arab relations in Jerusalem, Danny Seidemann is the founder and director of Terrestrial Jerusalem, an Israeli non-governmental organization that works to identify and track the full spectrum of developments in Jerusalem that could impact either the political process or permanent status options, destabilize the city or spark violence, or create humanitarian crises. We spoke about the recent elections for Jerusalem’s municipal council and what should be expected of the new mayor, Moshe Lion. We spoke about the settlement in the East Jerusalem neighborhoods of Silwan and Sheikh Jarrah. We spoke about the leaping West Bank annexation policies of the Israeli government and the role that Jerusalem plays in these policies. We spoke about the Trump administration’s policy on Jerusalem. The conversation with Danny was fun. He was as witty, smart and analytical as always. Abdallah Hamarsheh is the acting director and co-founder of Zimam , a Palestinian civil society organization working to enable and empower youth to take a leadership role in creating a pluralistic and democratic Palestinian State. Zimam is the outgrowth of the Palestinian chapter of One Voice and is still supported by OneVoice . Together with Mara Lee, the Global Executive Director of OneVoice, Abdallah Hamarsheh spoke with Ori Nir and Debra Shushan at APN’s office in Washington. Please include APN in your end-of-year giving. To donate click here and write PeaceCast in the comments field. Thank you! Eight out of the 22 players on the current Israeli soccer national team are non-Jews, of them 7 are Arabs and one, Bibras Natkho, is an Israeli Circassian Muslim. He is also the national team captain. That is unprecedented. Never before have so many non-Jewish players played for the national team. The soccer field in Israel serves young Arab men as a tool for upward mobility while it also serves as a platform for anti-Arab bigotry and racism. Tomer Fadlon, an expert on the politics and diplomacy of soccer at Tel Aviv University explains the apparent contradiction and much more. Jim Gerstein is a pollster and a founding partner of GBA Strategies, a DC-based firm that provides research-based strategic counsel for candidates running for office, non-profit organizations, and for arts and cultural institutions. Since 2008, Gerstein has been conducting national polls of American Jews on election nights, commissioned by J Street. In this episode, J Street's Jessica Rosenblum and APN's Ori Nir talk with Gerstein about his November 6th, 2018 poll. This episode marks a new partnership between Americans for Peace Now and J Street on PeaceCast. The data files of Gerstein's poll are here. Alpher is the Author of Hard Questions Tough Answers, APN's weekly news analysis. For past PeaceCast episodes on Gaza, see here. for the full recording of the briefing call, see here. This episode, like several episodes we’ve produced in the past, focuses on the Gaza border. It features a conversation with Ose Oyamendan, a documentary filmmaker whose film A Bridge Over Blood documents efforts by Israeli peace activists in southern Israel and Palestinian activists in the Gaza Strip to build bridges of understanding and friendship to advance peace. This episode features a conversation with Dov Waxman, a Professor of Political Science, International Affairs, and Israel Studies at Northeastern University, and Director of Northeastern’s Middle East Program. We talked with Dov about one of his fields of expertise: the growing shift in American Jews’ attitudes toward Israel. Dov is the author of Trouble in the Tribe: The American Jewish Conflict Over Israel. Donald McIntyre, the former Jerusalem bureau chief of the British Independent, is the author of a new book on the Gaza Strip. The book puts a human face on Gaza and provides some valuable keys to unlock the conundrum that Gaza is. This episode is another effort by PeaceCast to shed light on Gaza, a small strip of land a perpetual state of crisis. 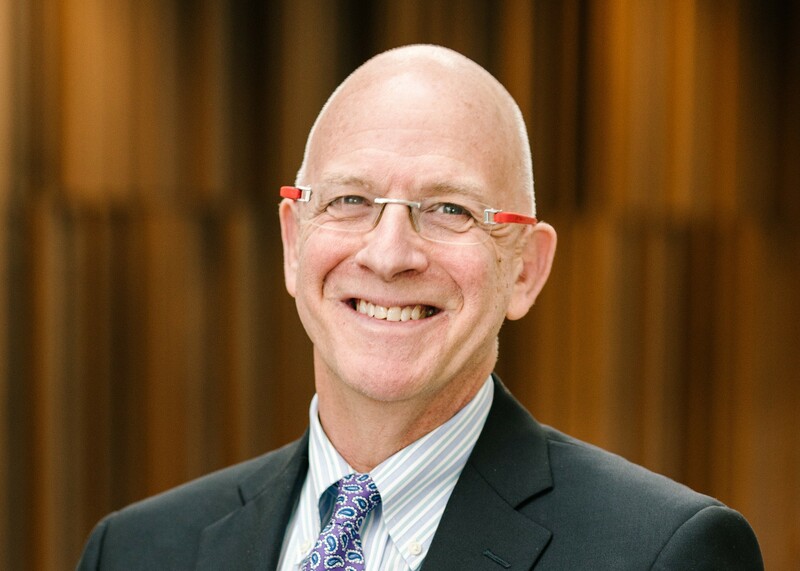 This episode’s guest is Daniel Kurtzer, a professor in Middle East policy studies at Princeton University and the United States’ former ambassador to Israel and Egypt. Dan’s New York Daily News article blasts the Trump administration’s decision to merge the US consulate in Jerusalem with the US embassy to Israel, which has recently been removed from Tel Aviv to Jerusalem. In this conversation, Ambassador Kurtzer examines this development and analyzes this administration’s approach policy on Israeli-Palestinian peace. 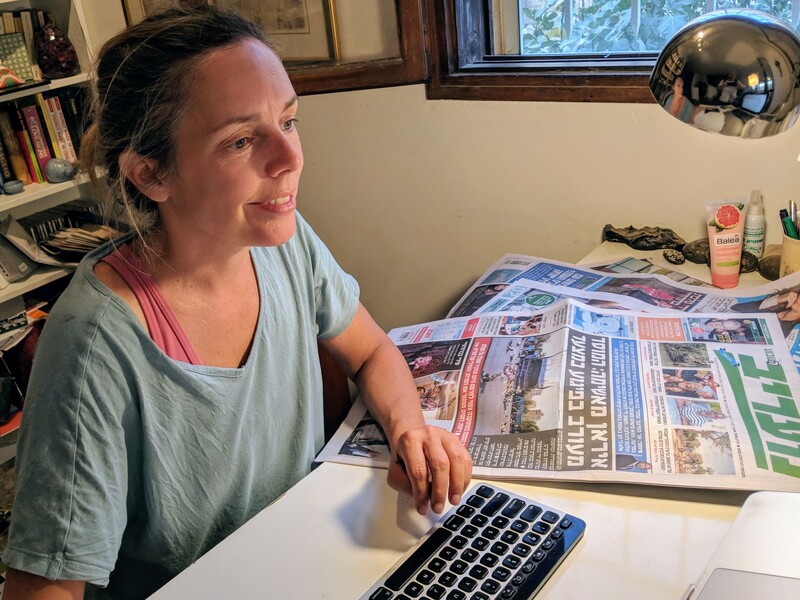 Orly Halpern is an American-born, Jerusalem-based freelance journalist who edits News Nosh, Americans for Peace Now’s roundup of the daily news from Israel. She prepares the English language review of Israel’s Hebrew media early in the morning, Israel time, taking advantage of the seven-hour time difference between Jerusalem and America's East Coast so that News Nosh subscribers can scan the Israeli news of the day with their morning coffee and bagel. This episode goes much beyond News Nosh. Orly talks about her career in journalism, about Israeli journalism and about Israeli society. Hagit Ofran is one of the world's leading experts on West Bank settlements. 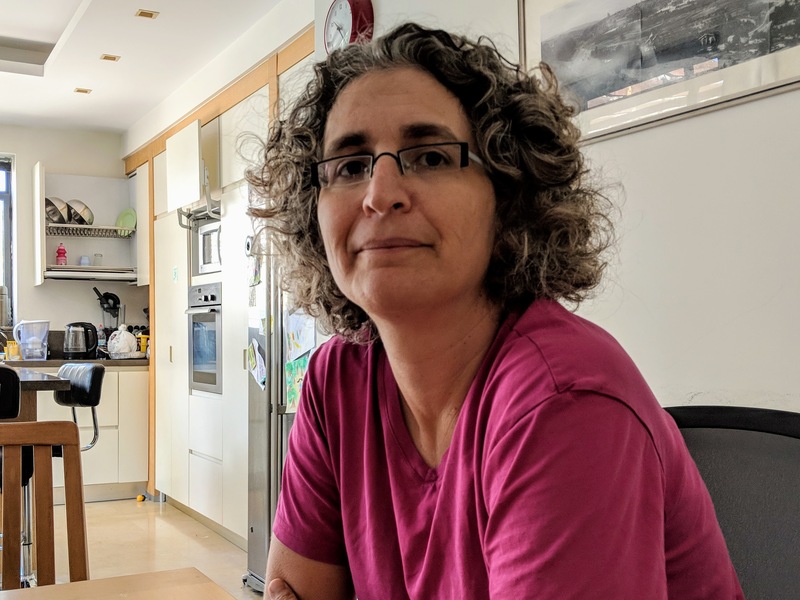 In a conversation at her Jerusalem home, she analyzes current trends in West Bank settlement planning and construction, as well as Israeli government actions to "legalize" illegal outposts and to allow the construction of new illegal outposts. This episode's guest is Jeremy Ben Ami, the founder and president of J Street. Jeremy recently published an article in the New Republic headlined Don’t Give Up: Why Liberal Jews Must Not Abandon the Fight for Israel’s Future. His is one of several articles in the current edition of the New Republic, devoted to the relationship today between American Jews and Israel. On these Days of Awe between Rosh Hashana and Yom Kippur, we reflected and took stock of where our pro-Israel pro-peace movement stands and where we wish to go. This episode features a conversation with Amos Guiora, a professor at the University of Utah’s S. J. Quinney College of Law. Amos has written a book about the crime and the sin of complicity. I thought this would be a good time to reflect on complicity, on by-standing. This episode was recorded a couple of days before Rosh Hashana, the Jewish new year, a time when we reflect on the year that passed and commit or resolve to do better next year. Earlier today, I put Rosh Hashana greeting cards on the desks of my colleagues here at APN, in which I resolved to be more engaged this coming year, more engaged with the cause that we work to advance: Israeli-Palestinian peace. On Rosh Hashana, I implore you too, my listeners, to become more engaged – engaged politically and engaged with APN. Sign up to receive our materials, engage with our action alerts, read our articles and analyses, and please support us with a donation.